FairLifts schedules a variety of New York transmission line construction services. 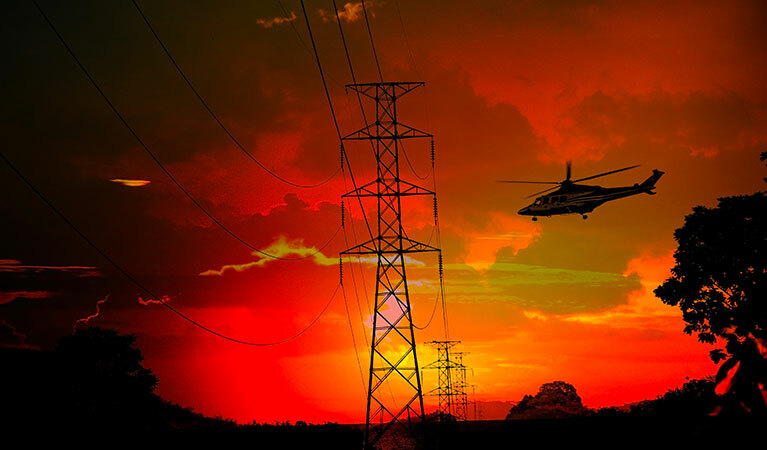 Working with an expert network of helicopter operators, we provide cost-effective and timely transmission line construction solutions across the state with minimal environmental impact. Services include structure and pole placement, transport of vehicles, equipment, concrete and matting, structure framing, including changing cross-arms or davit arms and installing x-braces, knee braces and v-braces, hanging insulators and stringing blocks, pulling sock line, hard line, optical ground wire (OPGW) and shield wire, installing spacers, marker balls, bird discouragers and anti-galloping devices, and post-construction inspection services. New York has an important energy infrastructure with numerous oil, gas, and solution salt mining wells. There have been more than 75,000 wells drilled in the state since the nineteenth century and 14,000 continue to be active with new drilling projects. The extraction of oil and gas adds half a billion dollars to the state's economy each year. New York wells are also drilled for underground gas storage, geothermal heating/cooling, stratigraphic exploration, brine disposal and solution salt mining. The value of New York's solution salt mining production exceeds $100 million. Natural gas, nuclear power, and hydroelectricity provide more than 90 percent of the state’s net electricity generation, while renewable resources provide the rest. Last year, nearly two-fifths of the state's net electricity generation came from natural gas, about one-third from nuclear power, and almost one-fourth from hydropower. Over half of the state’s generating capacity is at natural gas-fired power plants, and more than one-third of state capacity is at units with a dual-fuel capability that can use either natural gas or fuel oil. A global leader in supplying transmission line construction services, FairLifts works with an expert network of operators to provide guaranteed transmission line construction solutions to industries and agencies in New York. FairLifts also arranges a variety of other services, such as work crew and equipment transport to offshore or remote sites, as well as heavy lifts for hardware and machinery. FairLifts schedules heavy lift helicopters capable of lifting up to 9,000 lbs, more than sufficient for large-scale construction projects. Our network of operators ensures strict safety standards and affordable solutions. Heavy lift services include light to heavy and aerial crane services for the transport and placement of hefty elements with minimal environmental impact. 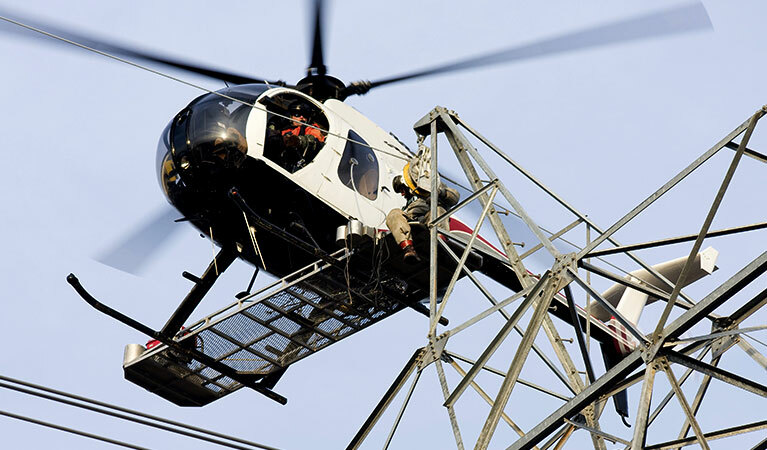 FairLifts can schedule helicopters for wire stringing and installation of primary conductors onto the transmission line structures, including the installation of conductors, ground wire, insulators, stringing sheaves, rollers or travelers, vibration dampeners, weights, suspension and dead-end hardware assemblies for the entire extension of the project. 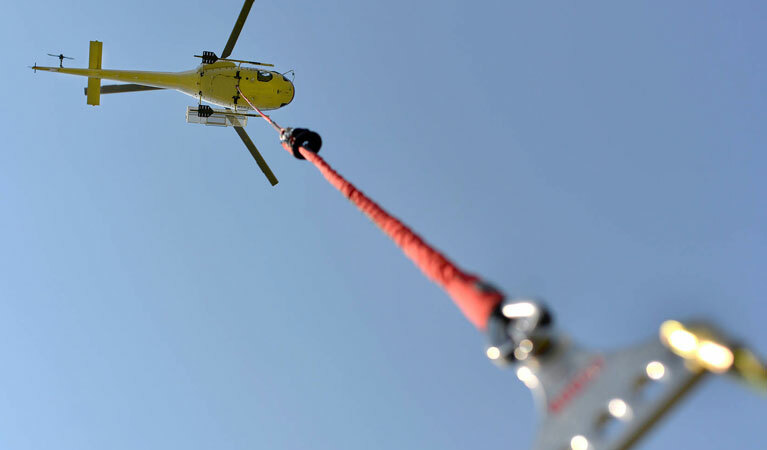 FairLifts arranges helicopters for utility pole installation, allowing crews to access remote or rugged terrains with minimal environmental impact. Since composite poles have a greater strength/weight ratio than traditional wood poles, our network of helicopter operators provides the power necessary to install poles for extensive construction projects. FairLifts reserves helicopters for ROW and site inspection of power transmission lines through infrared thermographic inspection, determining transmission line inconsistencies and guaranteeing cost-effective and efficient inspection solutions, such as corona measurement with next-generation technology to spot corona interference in high-voltage transmission lines. FairLifts organizes helicopters for logistical transport for the extension of transmission line construction projects, including the transport of equipment and materials, driving caissons, steel placement, and tower erection. Our network of operators ensures safe and skilled transport to rugged and remote areas across the state. FairLifts account managers are available 24/7 to provide expert assistance for New York industries and agencies in need of superior transmission line construction services. Our global network of operators, working with expert pilots, guarantees safe, timely and affordable solutions for critical transmission line construction projects.